Once school has been in session for a couple of weeks is prime time to promote two events. The first is a open house. The great thing about an open house is that it is like a grand opening, mass intro, birthday party, and promotional booth all wrapped up into one awesome event, and you can have an open house any time of the year you want. Planning, proper promotions is crucial Our open house for back to school should be scheduled for about four weeks after school starts. This way families will have settled into their routines, your students will have made friends with the new students in class and will feel comfortable to invite them, and your new VIP program will be in full swing so the students will want to earn tickets by helping promote your open house. Remember the number one way to promote a good open house is through your existing students by getting them involved and get them and their friends there. An open house is a chance to showcase all of the benefits that your school has to different target prospects and get attention, build name recognition, and add to your advertising frequency all at the same time! 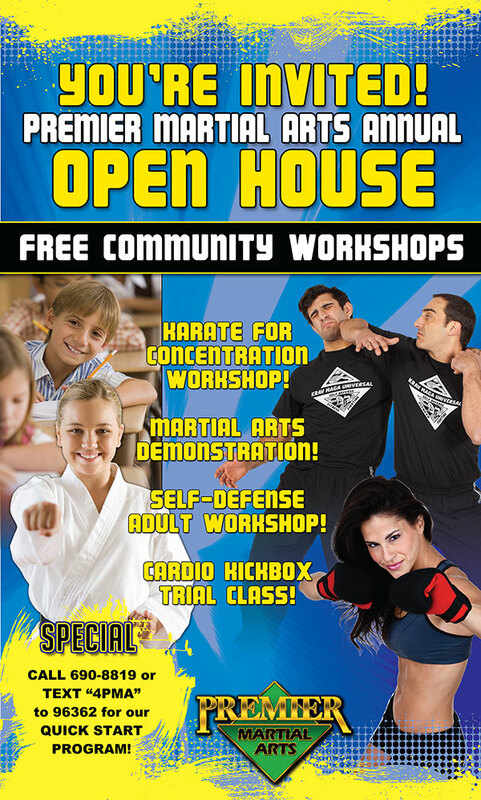 Your open house should consist of seminars (Mass Intros) that the public is invited to and your students are urged to attend and bring their friends with them. The different seminars should be designed to attract prospects to the different facets of your school. 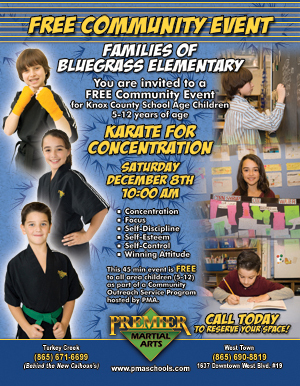 10:00 am – Karate for Concentration Seminar or a Childrens Self-Defense Workshop. Gather names/addresses/phone numbers/emails on every prospect that walks into your studio. Have prospects enter to win a FREE Year Membership. Have prospects enter to win FREE Birthday Parties. Conduct a mass intro close after every seminar. Enter every student that shows up with a friend to enter a raffle to win a great prize. Make sure all staff members know the open house special that you are offering and train them to network around the school building rapport and signing people up! Show-off your stuff! And… Have Fun! 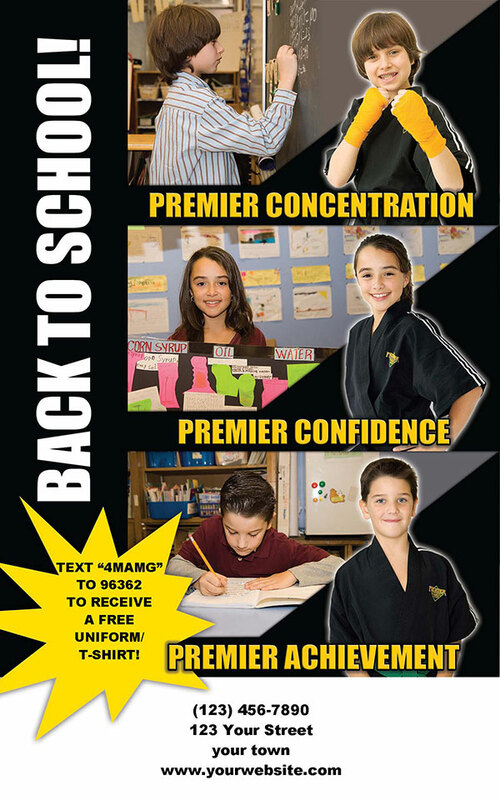 Get flyer approval and send home flyers with the students from your local schools. By having a live radio remote at your open house, you can work into the deal to appear on the Friday morning show to promote your Saturday open house. The most common mistakes I see with the way some schools promote their open house is that they do not involve their existing students enough and they do not promote the seminars of their open house separately. When an open house ad reads Open House from 9am to 2pm then list all the events – people will often think they have to attend the entire time. Make sure you give the times of each event and have your ad say you are invited to anyone of our great Open House Workshops and Events come to only one or come to all. 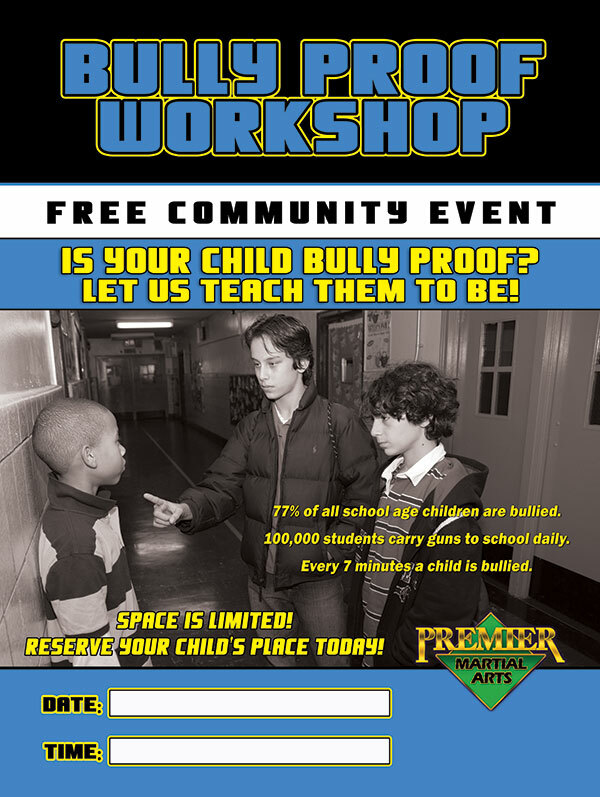 Our next event that is perfect for this time of year is a Bully Proof Workshop. This workshop is great information for you current students, a great buddy event for inner school marketing, and sometime though out the year a great opportunity to receive flyer approval to support a mass intro. As much of a tragedy bullying can become to a young persons life, the over-whelming number of kids ARE NOT BULLED! Bullying is not that much of a problem for our prime market of elementary 5 to 12 year old students. Parents are more interested in Bully information for their child, than their children are. In order to sign up kids at a mass intro they must have fun and be excited! The subject of anti-bullying information for kids is not that exciting and sometimes even scares them. You should conduct a Bully Proof seminar for the primary purpose of community service, not to sign up new students! Below is a description of what each of our PMG marketing products is used for. Marketing Cards are 4×8 post card that are used for invitations to mass intros and other events, direct mail piece, and as a mailer for our TeleMail Program. 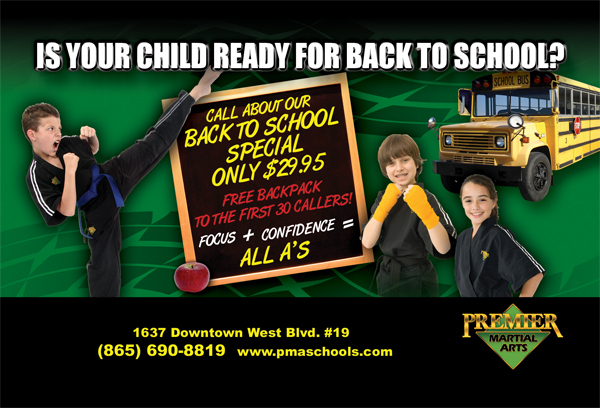 Flyers are 8 1/2 x 11 flyer that is used for flyer approval for local schools, neighborhood flyers, personalized specific marketing, occupation specific marketing, Direct mail letter program, and as first piece for our TeleMail Program. Door Hangers are for neighborhood fleering. Ad Cards and Rack Cards are cards to set in business card holders at local business near checkout. Make sure your ad cards do not have an event date on them. Ad cards need to have a special or call to action that can last several weeks.